With streaming services growing in popularity, broadcast television channels have started coming to the party. Sky Go and BBC iPlayer are just two examples of great services provided by channels if you have a subscription to them. They give you access to all the excellent content you’re used to getting in front of your television, even when you’re not there. Problem is, if you go travelling outside the UK, or choose to live abroad for a while, they make it very difficult to stay connected. These services are geoblocked, meaning only people currently in the UK can access them. This is similar to the problem many people around the world are having with Netflix and the like, who block content according to location. Streaming services, which could be so useful when travelling, can become a giant hassle. Which is why many people use VPNs to access their favourite television shows while abroad. A VPN (virtual private network) routes your connection through a remote server in the UK, making it seem like you are actually there. However, there are a few problems you might run into when paying for a VPN. Here are some things you should consider before subscribing to a Sky Go or BBC iPlayer VPN. 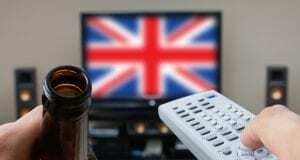 The truth is, you can access BBC shows outside the UK without BBC iPlayer. Channels in Spain and other countries syndicate their content and broadcast it exclusively. This is why BBC and the like don’t let you use their streaming services outside of the UK. They’re already being paid for this content by other providers, and are not allowed to now give access to anyone else. And so they’ve, by necessity, become good at blocking VPNs. They can detect many popular VPNS and tell you to turn it off before being able to view content. An alternative that works for some is to use a Smart DNS service. This is a type of proxy which has had some success beating streaming services’ blocks on VPNs. However, proxies do not encrypt your data, which makes using the internet less safe. Especially if you are using free streaming sites or downloading torrents, you should definitely take the safer option. Therefore, it’s important to note that there are VPNs capable of breaking through these measures. Some of the VPNs that still work in accessing BBC iPlayer and other British services include ExpressVPN, IPVanish, Buffered, and NordVPN. Each of these options come with their pros and cons, including decreased speeds in some cases, and varying prices. Before paying for one of these services, it is crucial that you do your research to find which one is best for you. Ultimately, these are all good options, but you should make sure they offer you everything you need. But even if you’re in the UK, or do not plan on using location restricted content, you should still be using a VPN. VPNs encrypt your data, making browsing much safer, away from hackers and potential surveillance. For many, streaming is a luxury, while a VPN is a necessity. Choose a good option, to keep on streaming and keep your data safe.